Every year I look forward to presenting this quadrilateral question to middle schoolers before defining special quadrilaterals. I know, I know… it’s sort of a “trick question” since kids assume multiple choice questions have only one right answer (and why shouldn’t they assume that in this education era of high stakes testing… but that’s another story…). In the past, I would fire up PowerPoint and display this slide to the class, asking them to raise their hands to respond in voting style. 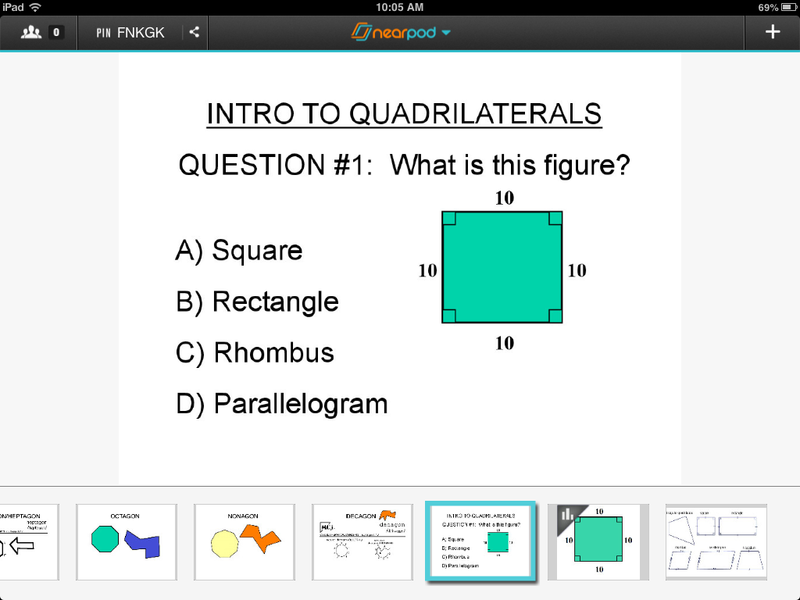 It was effective, but Nearpod helped “kick it up a notch”. 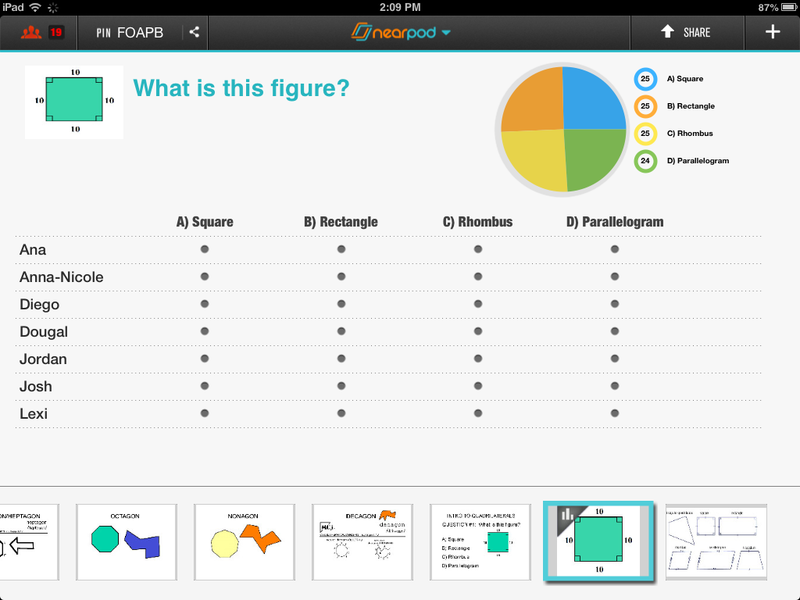 First, using Nearpod, I presented the slide shown above to the students and asked them to silently ponder the question. Next, I presented the question again, but in poll-style. What I didn’t tell them was that I had set up this poll in such a way that more than one answer could be selected. As in years past, students chose one answer the first time around. Then it happened – students started looking around the room, whispering, and questioning their initial reactions. We all looked on as the graph completely changed! 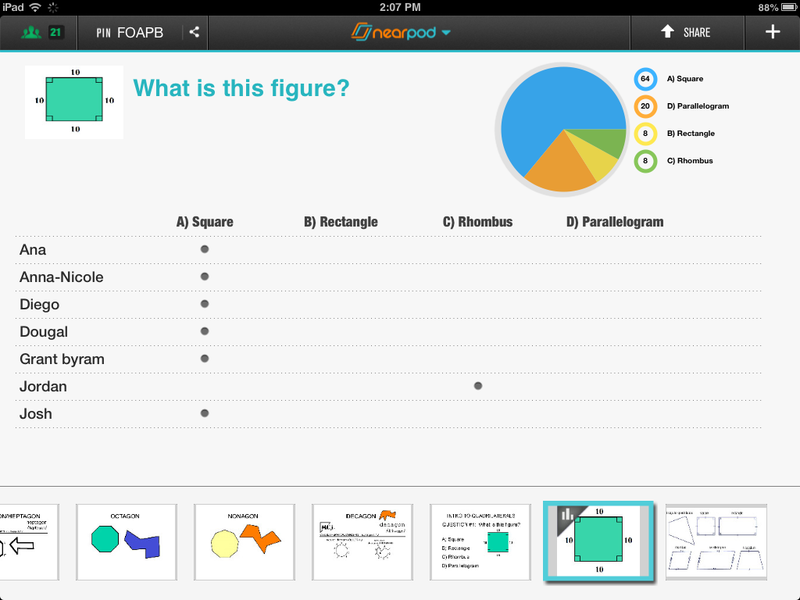 This entry was posted in Algebra 1, Pre-Algebra and tagged app, iPad, nearpod, quadrilaterals. Bookmark the permalink.